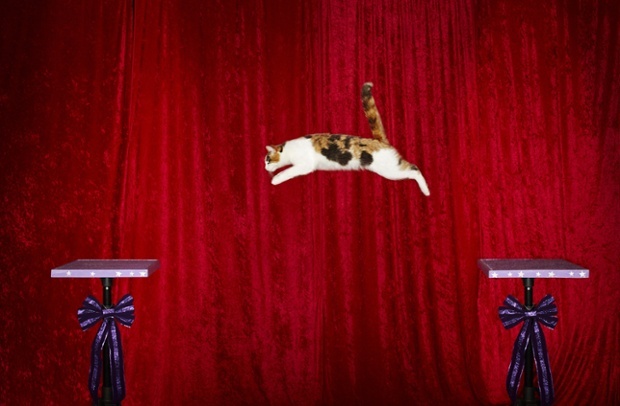 A Chicago cat who can jump 6 feet is officially the cat with the longest jump. Alley Cat holds the title in the Guinness World Records for 2015. Guinness World Records has released a few notable tidbits from its 2015 edition, and a Chicago, Illinois cat is among the new record holders. 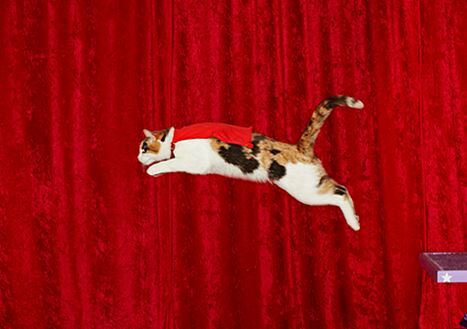 Alley the rescue cat took the title for Longest Cat Jump after proving she can jump 6 feet (182.88 cm) – the longest jump by a cat. Alley joined her owner after she was rescued from a Chicago alley along with three other cats. Amazing! As the companion of several cats I always thought the words trained and cats were mutually exclusive.